As the curtains were pulled closed, and the seats emptied in the auditorium after the Saturday night performance of Grease, the actors backstage cheered in celebration of another show well done. But amidst the crowd of revelers, a group of seniors were caught in the bittersweet moment that had come all too soon. They all turned to one another, tears in their eyes and embraced. It was their last show at Rockland High School. For seniors involved in the theatre department, it will be difficult to walk away from the fierce friendships that were created on stage over their four years spent at RHS. Between the late rehearsals, stupid jokes, and random outbursts of songs, a family was created. Morgan Foster, Jurnee Dunn, Sophie McLellan, Michael Belmonte, Kimberlie Jean-Poix, Angelica Pacombe, Taylor Vernava, Adam Royle, Shandi Austin and Michael Bodley are all seniors who have taken their final bow for the theatre guild. 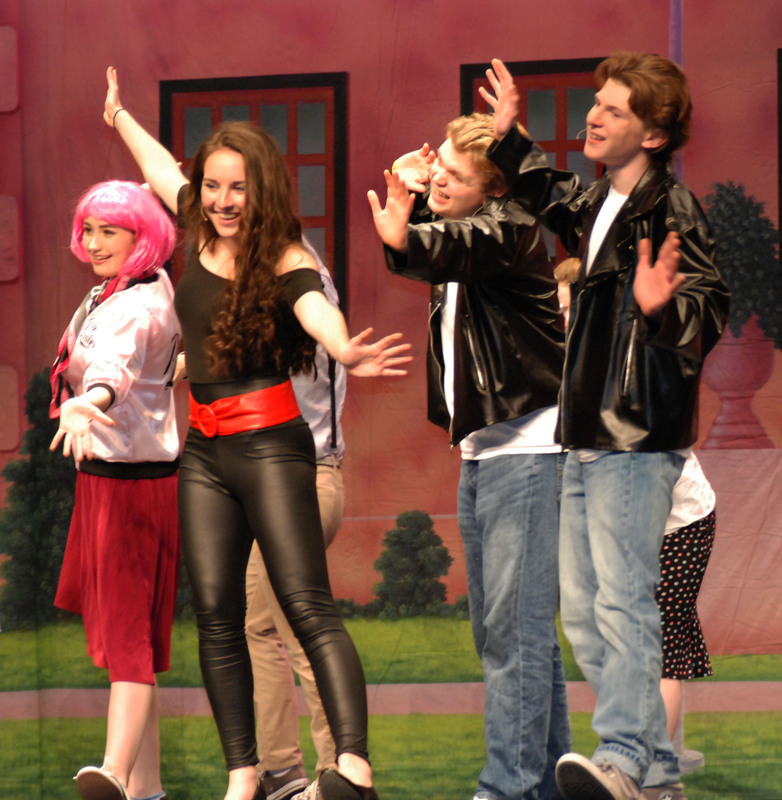 For others, Grease was the last show after years of performing. We can all agree that the times we have spent together in the theatre department have been the best times of our lives. The friendships we have made will always be in our hearts. No matter where we go or who we become, we will always be able to look back on our days on stage and know that we were a part of something magical.